3rd Sunday of the month, January to May 1:00 p.m.
Come and hear the fascinating story of the Native American Sinagua culture, pre-Columbian people who lived and traveled in Red Rock State Park. Experienced bird guide Mike leads this bird walk. He will help you spot and identify various birds that live and visit the park. Novices, seasoned birders, and every experience level of birder will enjoy this event. Sunday, April 21, 2019 8:30 a.m. Learn about the geology of Catalina State Park with experienced geologist, Karen. Did you ever wonder about geocaching? It's a high-tech treasure hunt! Join park volunteer Tony for this introduction to geocaching. It includes a hands on demonstration. Mondays and Fridays through May 8:00 a.m.
Monday, April 22, 2019 8 a.m. to 1:30 p.m.
Come celebrate Earth Day with us at Lyman lake State Park! 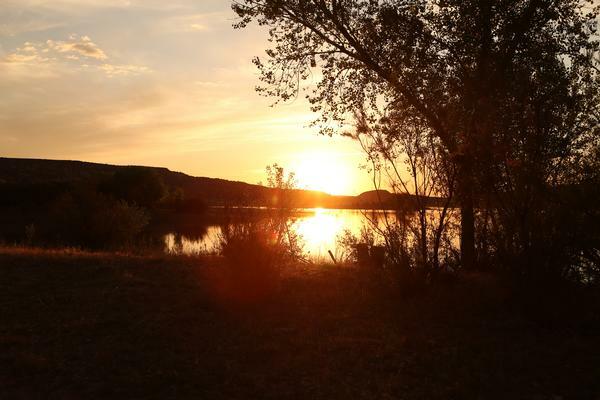 Experience the expansive views, a beautiful lake, and gorgeous Arizona skies at this awesome event! Monday, April 22, 2019 8 a.m. - 6 p.m. Enjoy Earth Day at the historic apple farm in Oak Creek Canyon with a gift of flowering seeds! Both novice and seasoned birders enjoy the variety of birds that visit and live in the foothills of the Santa Catalina Mountains. Thursday, April 25, 2019 7-10 a.m.
Join other birders for a morning of discovering the birds of the desert. Learn how to identify the birds, the proper use of binoculars, where to find birds and then take a guided walk through the desert to practice new skills. FlagShakes will be performing two different plays in the billiards room at Riordan Mansion State Historic Park. Join experienced bird guide, Jim, on a bird walk through the park. Come out to Homolovi's Visitor Center Museum and Observatory for a night under the stars. Dress warmly and bring your sense of wonder. April 27, May 25, 2019 10 a.m.
Get a taste of the Whetstone Mountains backcountry on the Ocotillo Trail! Join an experienced park ranger for a 3.2 mile hike over moderate terrain. April 27, 2019 10:00 a.m. to 2:00 p.m.
Join us on April 27 to celebrate both Earth Day and Arbor day in Sedona's Red Rock Country! This family-friendly event will feature games, hikes, special presentations, crafts for kids, and environmental education exhibits and activities. Join Citizens for Solar at our Annual Solar Potluck and experience the flavors of solar-cooked food and learn about solar by viewing solar appliances and exhibitions (ovens, fountains, coolers, lights, electrical systems) and solar arts. The event is co-sponsored by Catalina State Park, Arizona State Parks. The Solar Potluck is an educational, family-friendly event. 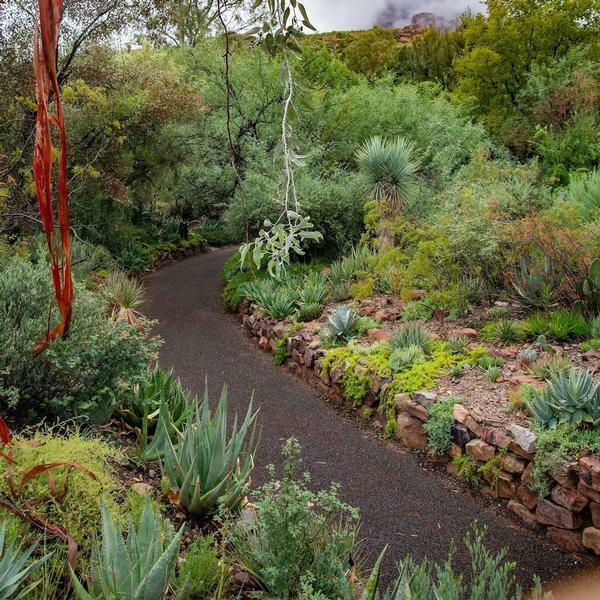 Learn more about the native plants of Sedona and how they're interconnected with indigenous cultures, pioneer settlers, wildlife, and even modern society. 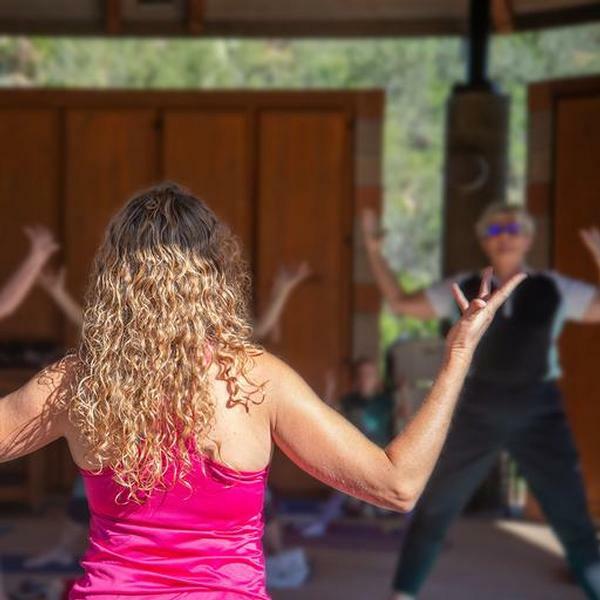 Sunday, April 28, 2019 10 a.m. - 12 p.m.
Join us for the second annual Brunch at the Bridge at Tonto Natural Bridge State Park. Meet our new park manager Sarah Kirk and enjoy a morning at the park, along with a spring brunch. Sunday, April 28, 2019 8 a.m.
Join volunteer Gaston for a guided tour of the park's Cabin and Sutherland Trail Loop, a six mile hike. 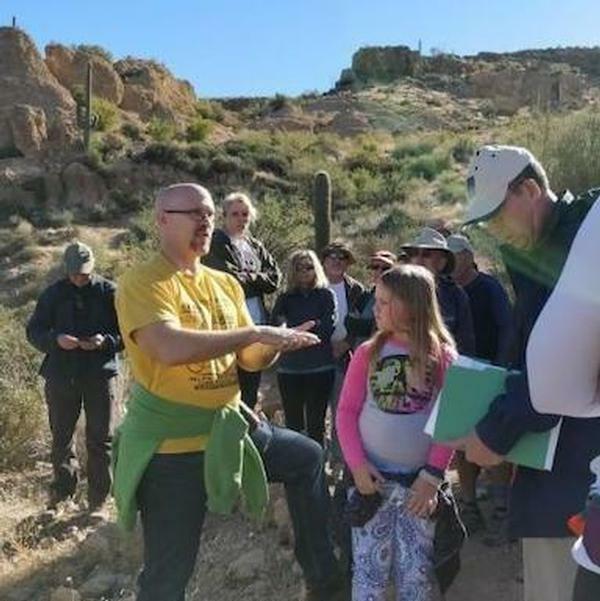 Sunday, April 28, 2019 2 p.m.
Join volunteer Barry on a geology walk through Tonto Natural Bridge State Park to learn about the park's history, geology of the area, and formation of the world's largest natural travertine bridge! May 4, June 8, August 10, September 7, October 5, November 9, December 7 4:30 p.m. - 7:05 p.m.
Have you ever wanted to take photos of the amazing underground world of Kartchner Caverns? Here's your chance! Arizona State Parks and Trails now offers an opportunity to take photos inside the cave every month. Registration for this tour is $125 per person. May 4 and June 8, 2019 May 7:30 - 9:30 p.m. | June 8-9 p.m.
Join Dr. Sky, a radio/TV journalist based in Phoenix, for An Amazing Night Under the Skies. What planets will we see in the dark desert sky? Saturday, May 4, 2019 5:30 p.m.
Join Catalina State Park on for its popular Music in the Mountains concert series featuring a Southwestern Americana performance by Nancy Elliott! 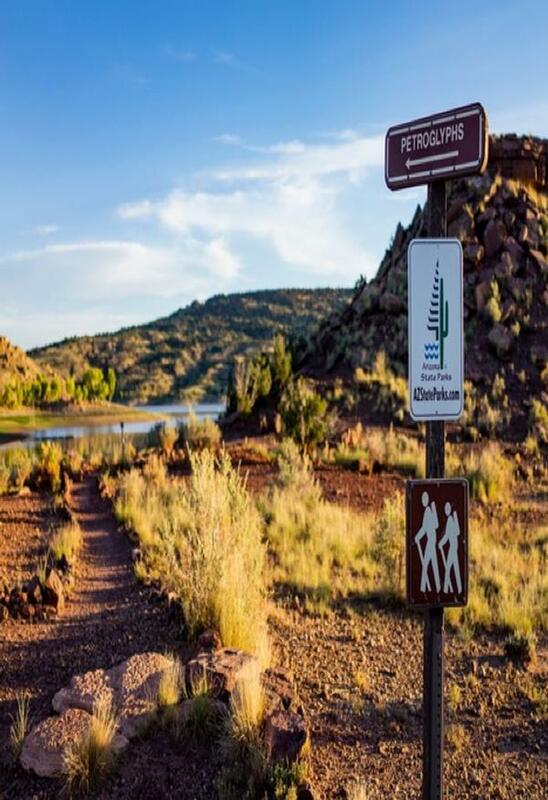 Every Saturday starting May 4, 2019 9 a.m.
Come out to cool Lyman Lake State Park for a ranger-led hike on the Petroglyph Trail. After the hike, stick around for a chat with the ranger! 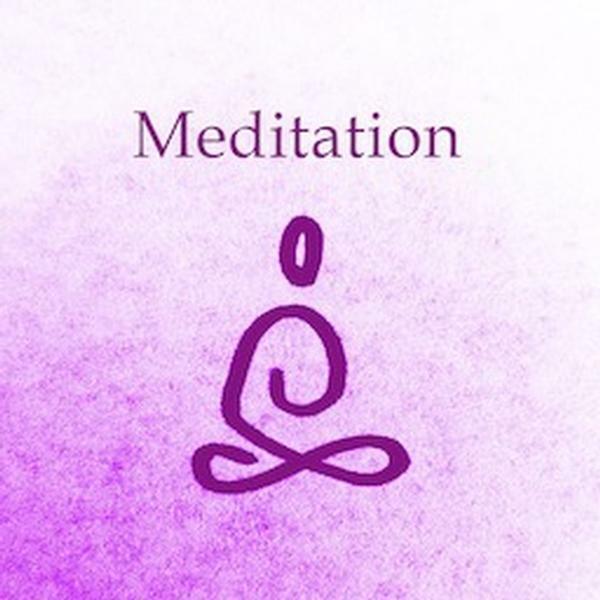 Sundays, May 5 and June 9,2019 7-8 p.m. Enjoy the desert under the glow of black light in search scorpions! Listen to a brief informative talk about scorpions before journeying into the desert night on your hunt. Join us for a lecture about the Permian Period (300-250 million years ago) by Dr. Ken Bork. Sedona sat near the equator as our famous Red Rocks were being formed. 2nd Sunday of the month, January to May 1:00 p.m.
Our monthly-guided geology hike will be held at 1:00 PM. 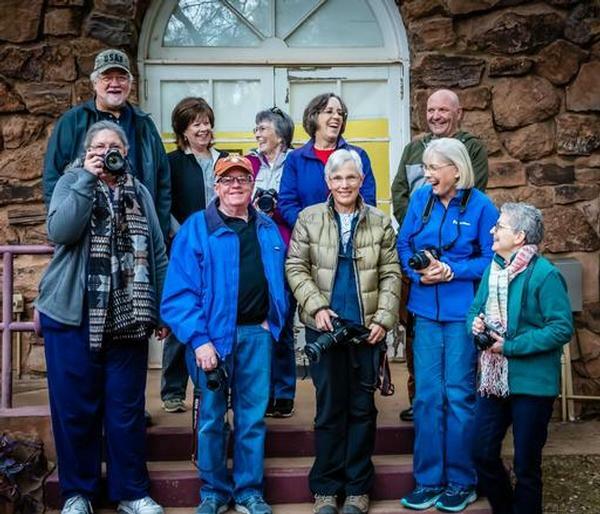 Join our knowledgeable volunteers as they venture out on our trails and discuss how Sedona transformed into what we see today. Sunday, May 12, 2019 2:00 p.m. - 3:30 p.m. 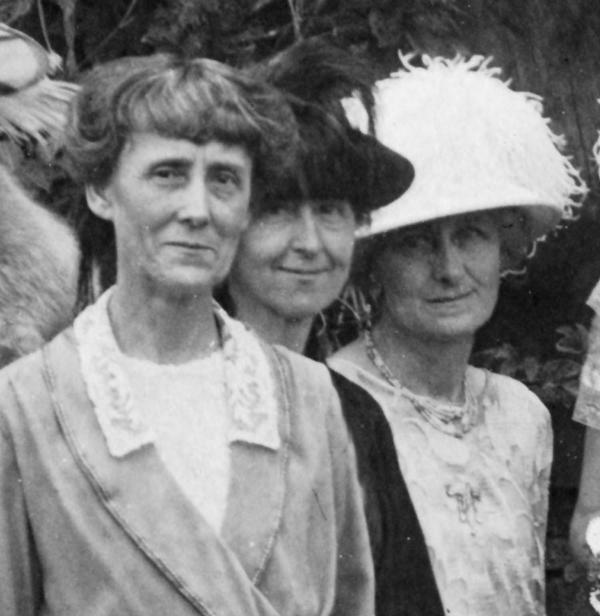 Step back to 1904 with a guided tour of the Riordan Mansion featuring the Riordan ladies and their stories. 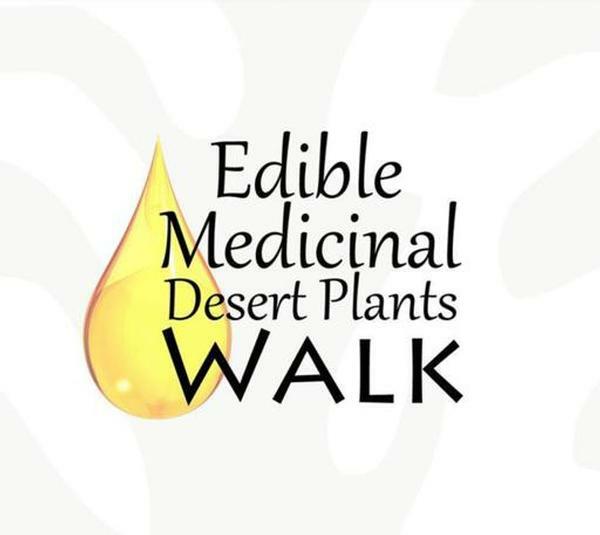 Monday, May 13, 2019 12:15-1 p.m.
May 16-17 and June 16, 2019 May 7:30-9:30 p.m. | June 7:45-9:45 p.m.
Join us for a guided 2.5-mile hike on Jacob’s Crosscut Trail at the base of the mysterious Superstition Mountains. After the hike, come and gather ‘round the campfire to roast marshmallows (marshmallows and sticks provided). May 18 | June 16 May 18 and June 16 at 6:00 p.m. The Full Moon Hike is among the most popular interpretive hikes at Red Rock State Park. Join us for an exciting evening under the night sky of Sedona. Saturday, May 18, 2019 7-8:30 p.m.
Filmmaker Katrina Parks will show segments from her documentary film series “Route 66 Women” that look in depth at Arizona’s Route 66 legacy through the eyes and experiences of women who overcame segregation and gender discrimination to build fulfilling lives for themselves on America's most beloved road. Sunday, May 19, 2019 8:30 a.m.
Join us for a fun Sunday walk in the park! This guided walk with a naturalist will help you to identify birds, butterflies, and dragonflies. 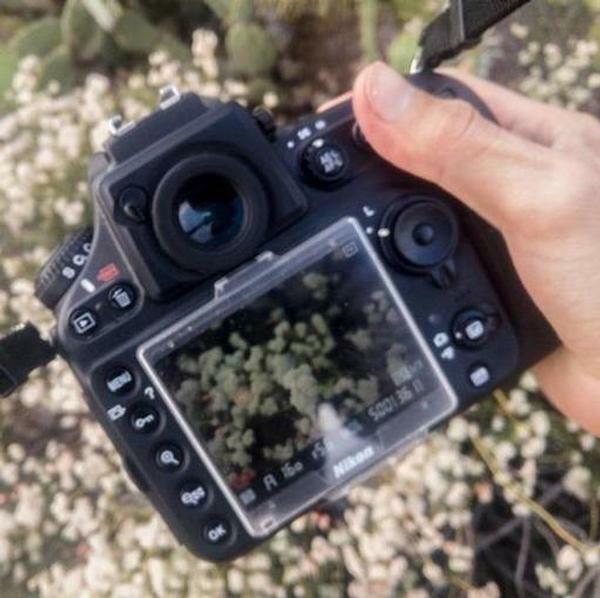 Monday, May 20, 2019 8-10 a.m.
Join this dog friendly hike starting from the Cholla Day Use Area and follow a social trail down to the Crosscut Trail towards First Water Road and back. Make the most of this opportunity to get your dog used to hiking and socializing with other dogs while you get some exercise! Come on out to Catalina State Park for an evening of jazz and swing ballads! With music nestled in the 30s and 40s, “All Jazzed Up” offers “torch songs” also known as jazz and swing ballads from tin pan alley. Saturday, June 1, 2019 7:30 p.m.
Come to Lyman Lake State Park for a night sky viewing you won't soon forget! Lyman Lake offers stunning views of the stars, moon, planets, galaxies, and other astronomical wonders. Saturday, June 1 7:30 p.m. Under the dark skies of Red Rock State Park, the Summer Milky Way will be starting to make its way across the night sky. Join us for great times under the stars of Sedona! June 2, 2019 2:00 p.m. This presentation explores more than a decade of historian Jay Mark’s journeys to these fascinating ghost places, along with their stories – long-forgotten places like Charleston, Contention City, Mowry, Fairbank, Gleeson and Congress. The Deuces Wild Endurance Festival is held in the cool White Mountains of northeastern Arizona. Held over two days in June, there are 15 separate races to choose from including triathlons, aquabike, runs and relays! Deuces Wild is also home to the Triathlon Club & Team World Championships with people from around the world coming to compete for the coveted titles! Saturday, June 8, 2019 8-10 p.m.
Want to learn more about the stars and planets? Do you have any little ones curious about the cosmos? Then head to Lost Dutchman State Park for a star party! Saturday, June 8, 2019 8 a.m. to 4 p.m.
On June 8th, Parker, Arizona becomes Float Town, U.S.A.! Join us for the 42nd Annual Parker Tube Float. Float down the gorgeous Parker Strip on the Colorado River from Buckskin Mountain State Park to La Paz County Park. 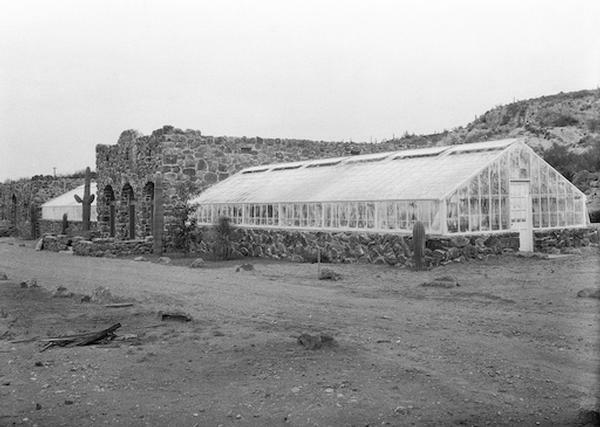 Sunday, June 9, 2019 2:30 - 4 p.m.
A 90-minute guided walk from Riordan Mansion to explore the Arizona Lumber and Timber Company property and the town site of Milton. Saturday, July 6, 2019 6:30 p.m.
Join Catalina State Park on Saturday, July 6th for an acoustic/electric folk-rock concert with country and Americana for good measure! Medieval Mayhem Renaissance Faire is the largest fund raising event held by the Medieval Mayhem Historical Arts Foundation, a White Mountain scholarship fund. Visitors experience walking back in history to the time of knights, vikings, pirates, kings and queens! Sample some of rim country's best wine, beer, food, art and music that rim country has to offer! This gala event will raise funds to benefit construction and maintenance projects at Tonto Natural Bridge State Park. 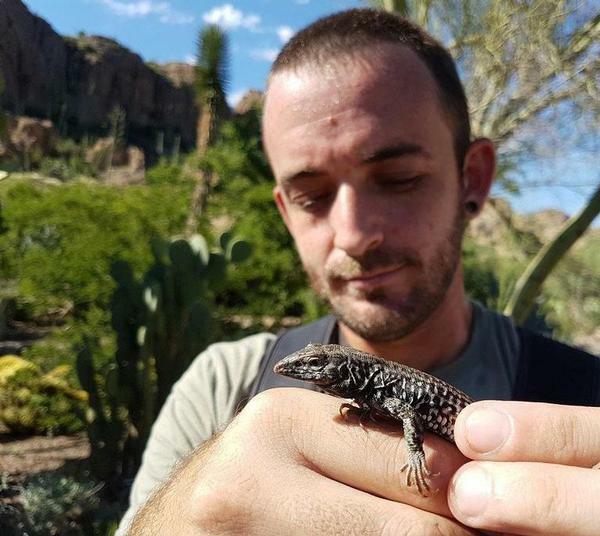 Saturday, October 19, 2019 2 p.m. - 8 p.m.
Star Party at Kartchner Caverns! Want to learn more about the stars and planets? Do you have any little ones curious about the cosmos? Then head to Kartchner Caverns, an International Dark Sky Park, for a star party! The children’s garden by the schoolhouse allows children of all ages to play hopscotch, marbles, and jump-rope the old-fashioned way. Every morning a volunteer naturalist leads a guided nature walk informing visitors about the different life zones of Red Rock State Park. The subjects discussed on this walk include geology, wildlife, history, archaeology, and plant life. Tuesdays to Saturdays 11:00 a.m. to 4:00 p.m. The park’s Back in Time Pie and Tea Shoppe has reopened for the season! Stop on by from Tuesday to Saturday, from 11:00 a.m. to 4:00 p.m. for the best pie and tea in town! Bird enthusiasts can join a naturalist for a guided walk appropriate for beginners and advanced birders.